We Will Match Any Local Trailer Prices Apples To Apples So Stop By Today And Let Our Friendly Staff Show You Why We Are Your One Stop Trailer Shop From Purchase To Service After The Sale!' 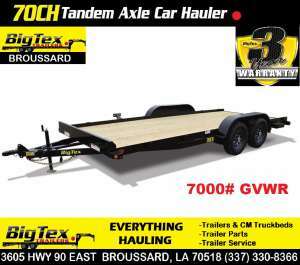 We Handle All Tax/Title/License And DMV Work In House In Addition To Being A State Licensed Inspection Station Offering 1 And 2 Year Trailer Inspections! 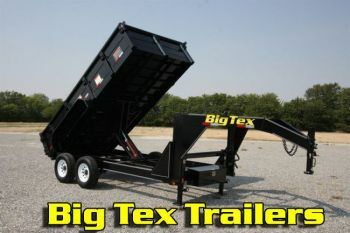 We Carry BIG TEX, LARK, Continental Cargo, and Master Tow Trailers. If you don't see what you need below then we can special order it. 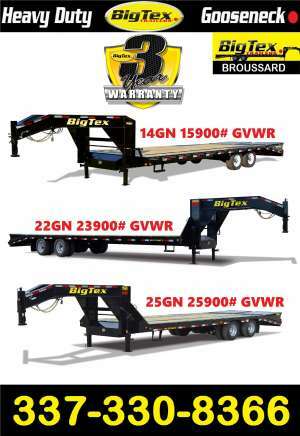 The 25GN from Big Tex Trailers is the same at the 22GN with 12K heavy-duty axles with Dexter Adjustable suspension, heavy duty 2 speed jack and stronger frame to handle the extra weight. 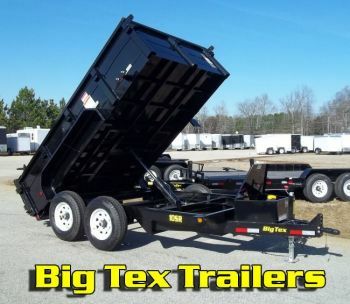 We Carry BIG TEX, LARK, Carry-On, Continental Cargo, and Master Tow Trailers.